Expat Mum: Green Bean Casserole or Brussels Sprouts? Pick your Poison. Green Bean Casserole or Brussels Sprouts? Pick your Poison. 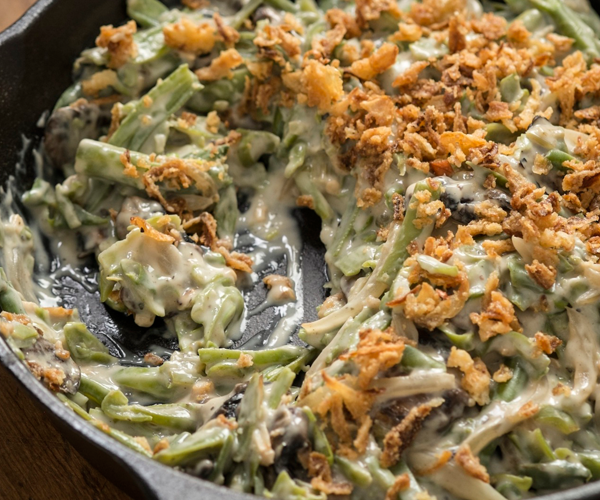 Anyone who knows me will know how much I detest dislike the American Thanksgiving staple - the Green Bean Casserole. Words just can't. So of course I decided to blog about it again for Anglotopia. Only this time there's something almost as revolting on this side of the Pond. Pop over and find out, and add your voice to the bun fight. I hate green bean almost as much as I hate sweet potatoes covered in marshmallows. My husband hates sprouts. It will be potatoes and carrots for us. Nope to both. Neither will grace our table (and I'm not even the cook and I know that). Usually, we have mashed potatoes (for those of us that despise sweet potatoes), sweet potatoes (minus the marshmallows - for those that love them), either green beans (sans casserole) or broccoli, yeast rolls and whatever else strikes The Husband's fancy - in addition to the requisite turkey, of course. Then we roll on to the desserts (my area). I haven't completely settled on exactly what desserts I'm making yet though. Slice Brussels sprouts in half, slice into slivers. Quickly stir fry in butter, toss in chopped toasted hazelnuts, add a bit of salt and voilà you have beautiful green crunchy nutty deliciousness. Nobody thinks even it's Brussels sprouts. And yes, these casseroles look very unappetizing. Even good food can be ruined. Keep it simple. I don't quite see the point of making green crunchy vegetables squelchy, though I will happily eat mashed potatoes or sweet potatoes. I do confess to making bread sauce though ,for years, before the children finally rebelled. UK & US citizen. Blogger, author of two books and columnist at large.